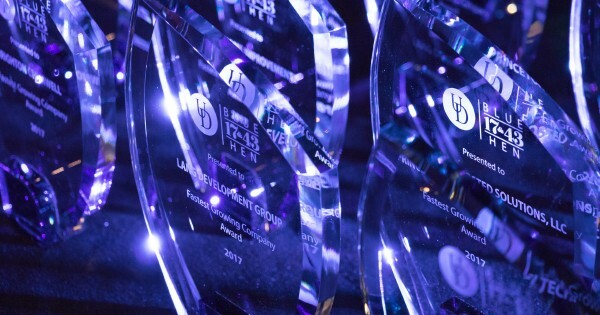 The University of Delaware’s Alfred Lerner College of Business & Economics and Horn Entrepreneurship announce recipients of the inaugural Blue Hen 17&43 awards, which recognize UD students and alumni who have owned, founded or led promising new ventures and fast-growing companies. Forty-two Blue Hen businesses will receive the honor. “UD’s new Blue Hen 17&43 Awards recognize and celebrate a special subset of our amazing UD family – the innovators, entrepreneurs and business leaders who have launched promising startups, guided the rapid growth of job-creating companies or done both,” said Dan Freeman, founding director of Horn Entrepreneurship. Ventures considered for the “most promising” list were formed five years ago or less and were selected on the basis of documented milestones, capital raised, revenue and overall business potential. Fastest growing companies experienced growth rates in excess of 10 percent per year over the last three years and generated at least $1 million in annual revenue. Information on the companies and their founders is available at http://horn.udel.edu/2017-1743-winners.